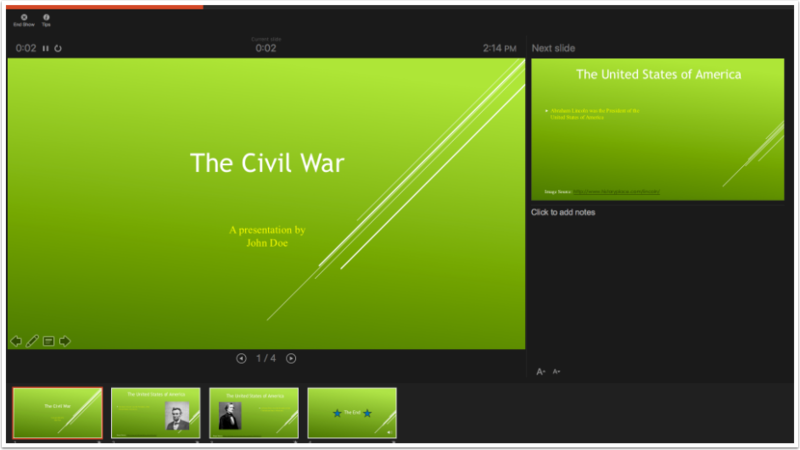 EdTech Help GuidesED206 Powerpoint TCAHow Do I Create An Audio Narration Of A Powerpoint? 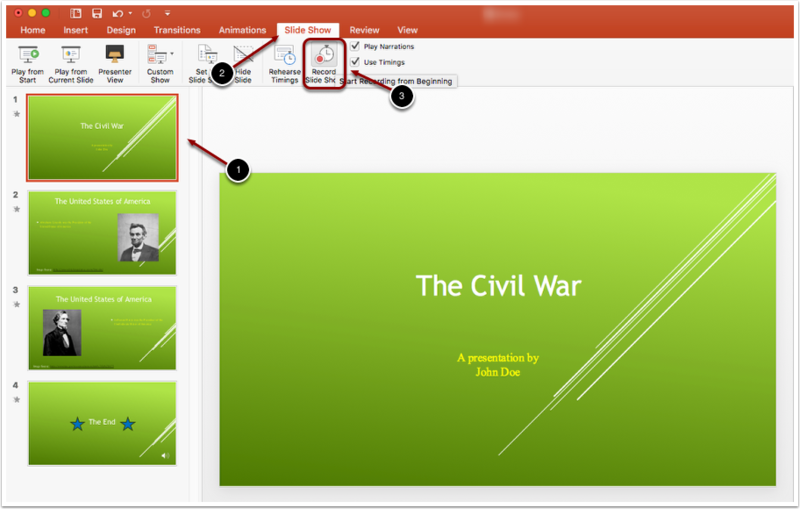 This tutorial will show you how to make an audio narration of the presentation. 1. Select the first slide in the presentation. 2. Select the slide show tab. 3. Select the Record Slide Show button. 1. 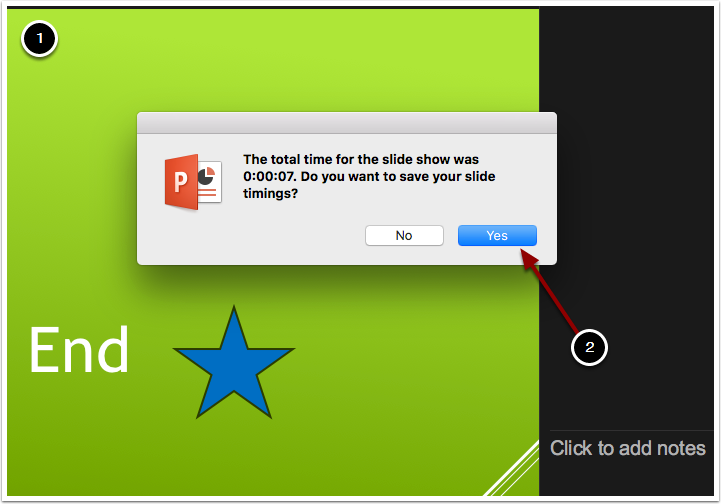 After clicking the Record Slide Show button, the presentation will immediately begin recording. 2. Speak aloud into the microphone to narrate the presentation. 3. When finished recording the first slide, click the space bar on the keyboard to move to the second slide. You will click the space bar to cue in each slide transition and each slide's animation(s). Example: You will click the space bar to cue the picture of Lincoln to "fly in" from the right. 1. When you arrive at Slide 4, say "The End". 2. Click the play button underneath the audio clip icon (as shown above) to play and record the sound effect of cheers. 3. When finished recording the presentation, hit the space bar to end slide show recording. 1. 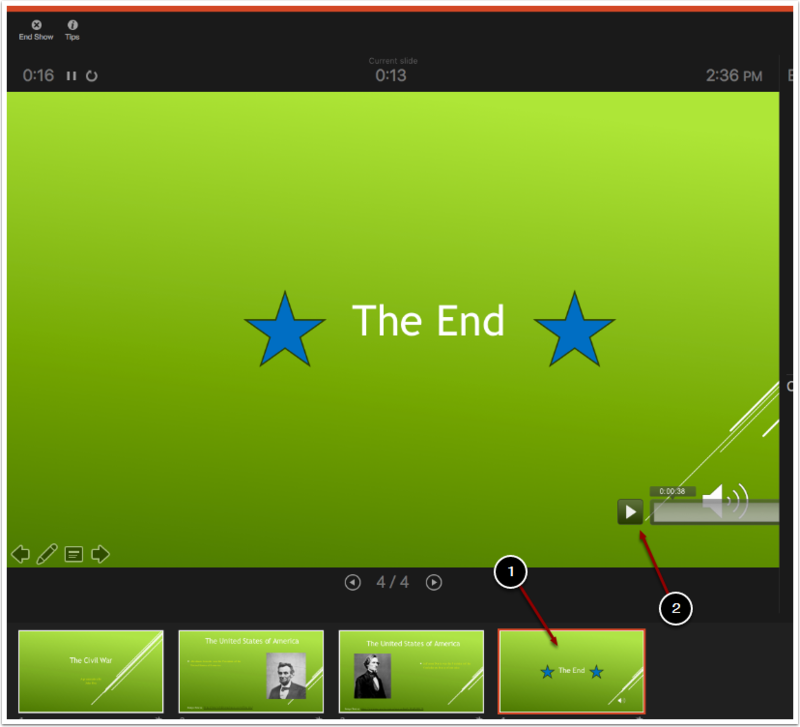 When finished recording the presentation, click the space bar to end slide show recording. 2. When this box appears, click the yes button to save your recording and audio narration. 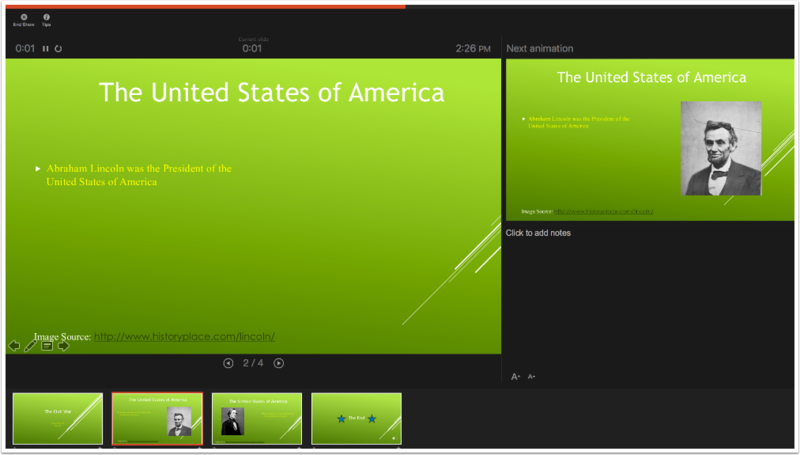 Prev: How Do I Insert An Audio Clip Into Powerpoint? Next: How Do I Complete The Practice Excel TCA?